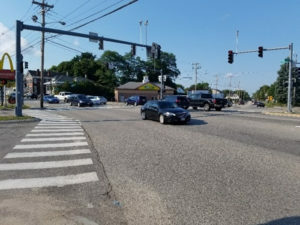 The City of Portland has experienced a 20% reduction in delays and a 16% reduction in travel time through Maine’s busiest traffic intersection since it deployed the Surtrac adaptive traffic signal control from Rapid Flow Technologies. 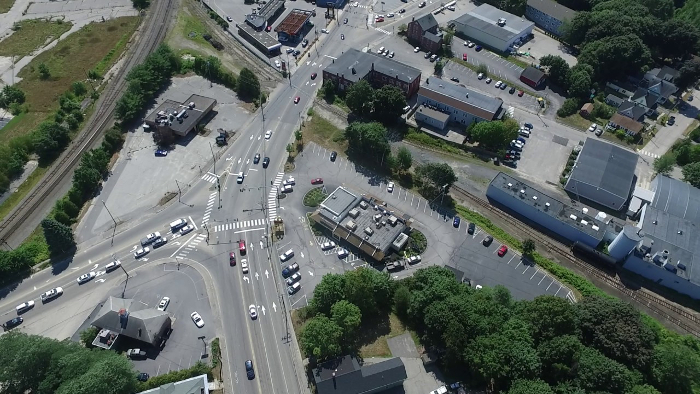 According to a 2016 report from the Maine Department of Transportation (MaineDOT), the Morrill’s Corner intersection system sees 33,000 vehicles pass through it each day. Since deploying Surtrac, data shows that each individual traveler has cut an average of 17 seconds when traveling through the three-intersection part of Morrill’s Corner, equating to a total of almost 156 hours saved each business day and nearly 41,000 hours per year. These time savings result in lower direct costs, such as time and fuel for drivers, as well as indirect costs for the city including lower emissions, improved safety, and better business/freight efficiency. One of the most important KPIs (key performance indicators) for this type of initiative is customer experience, and so far, the City reports that feedback has been overwhelmingly positive. The Surtrac adaptive traffic signal control technology was originally developed in the Robotics Institute at Carnegie Mellon University, and is now offered by spin-off company Rapid Flow Technologies. Using real-time data and artificial intelligence (AI), Surtrac works well in more predictable suburban arterial environments, but it is also ideal for more complex networks, including grids and closely spaced intersections, where competing traffic flows require service from different directions or where flows are unpredictable and change in ways that makes time-of-day patterns obsolete very quickly. These were the very conditions present at Morrill’s Corner, and why Surtrac has been so effective in reducing congestion there. As Portland’s population continues to grow, the traffic conditions at Morrill’s Corner will evolve and change over time. Surtrac naturally adapts to these changes using its second-by-second AI optimization. Surtrac’s patented, AI optimization engine is a decentralized, highly flexible, edge-computing system that allows each intersection to operate independently, or to coordinate with its neighbors, depending on actual traffic demands. The combination of independence and coordination makes it different from most other adaptive traffic control systems currently available. The system also optimizes signal timings every second, allowing it to adapt quickly to changes in traffic patterns, and because Surtrac is decentralized, there is no latency and it can scale to networks of any size without adding network, computing complexity. Portland’s Surtrac deployment, as well as other ‘smart city’ investments to maintain and improve quality of life, were partly funded by a program to replace 6,000 of the city’s old streetlights with a state-of-the-art LED network. In addition to implementing free public wi-fi, Portland plans to use the savings from the LED project to expand its Surtrac deployment in other neighborhoods around the city. 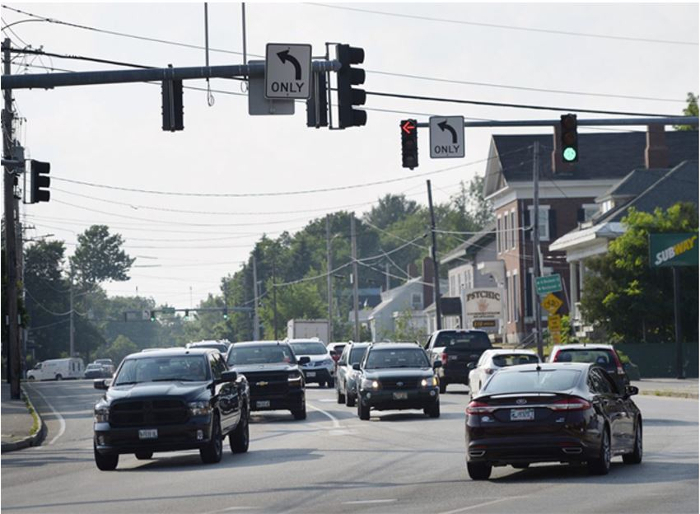 Expanded intersections could include those in the downtown area where tourists, many from visiting cruise ships, create not just vehicle congestion issues, but pedestrian congestion and safety issues as well. The decentralized nature of Surtrac will be an advantage for Portland, which plans to add groups of intersections over time, rather than all at once.